If you have ever bought from Oz Fair Trade, you would have received an origami like the one in the picture. Did you wonder who made it? Well…I made it! It’s a small gesture to wish you good luck and good health, and I hope it’s something that you will keep. It is also a symbol for peace, hence the name Peace Crane. Too many tragedies have happened lately, and my heart is filled with anger and sorrow. I am angry that some people can be so evil and cruel. I am distressed that so many innocent lives have been lost, and so many people have suffered. Making origami is a form of meditation for me. It calms me, especially at times like this. I once made one thousand tiny paper cranes and hung them on my door. They were lovely. Smaller cranes taker longer though, but people are always amazed by them. 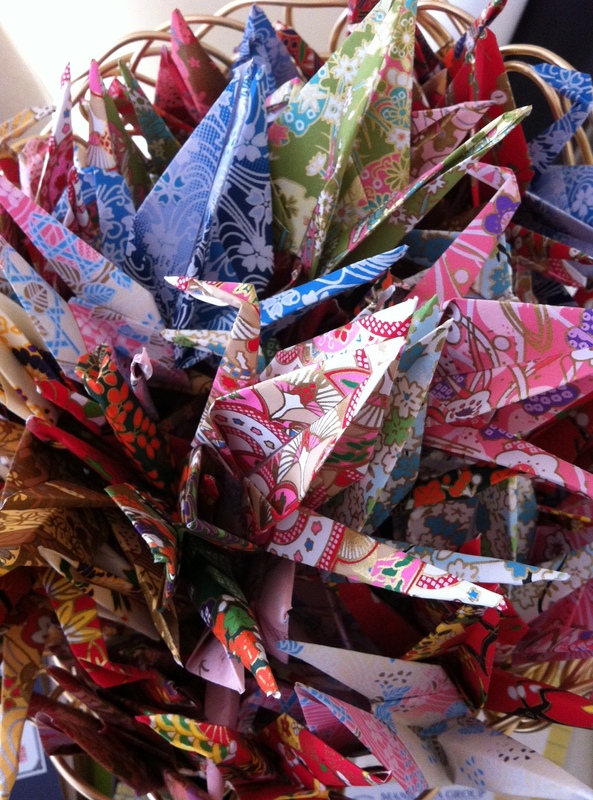 There is a saying that one thousand cranes equals one wish granted. If only it were true. So next time when you receive a crane, please know that it was handmade by me, and I sent it to you with best wishes for you and the world! It’s been almost two years since I decided to set up an online fair trade shop to better lives of the people I met during my trip to Southeast Asia and many like them. It’s time to reflect and be grateful. I am grateful for the trip that I took in late 2012 which inspired me to start something meaningful. I am grateful that my ex-partner took me on this trip. Without him, I might have chosen to visit the developed countries in Europe, just like most other Chinese people would do. We have our differences and our relationship didn’t work out, but I will never regret meeting him and loving him. I am grateful for the technological advances that allowed anyone to build an e-commerce without knowing anything about coding. I am grateful for the emotional support I received from my friends, my colleagues, my ex-partner and his family. I am grateful to Canberra CityNews and The Chronicle for featuring my story early on despite a terrible looking website. I am grateful to my early customers who supported this little start-up despite a terrible website and pretty bad product images. I am grateful for meeting socially conscious bloggers and journalists who have featured me in their blogs/articles. I am grateful to Google for publishing its Search Engine Optimisation Guideline, which enabled me to do my own SEO and reach new customers. I am grateful to friends who have helped me to customise/fix the website from time to time. I am grateful for advices from experienced social entrepreneurs like Nick Salvadis from Etiko. I am grateful to Intrepid for organising fantastic life changing trips and for featuring me in their blog. I am grateful for the assistance I received from the Fair Trade Association of Australia and New Zealand. I am grateful for having role models who have built successful social enterprises. I am grateful for the domestic help I get daily from my father, which frees up my time to work on Oz Fair Trade. I am grateful for being selected as one of the sellers on Good Spender, a new online marketplace for ethical products. I am grateful to all my customers who have supported Oz Fair Trade. Without you, there will be no Oz Fair Trade. I am grateful to anyone who has helped to spread the word. As some of you already know, Oz Fair Trade has been certified as the newest Fair Trader of Australia by the Fair Trade Association of Australia and New Zealand. It is a big milestone for me and for Oz Fair Trade. I wanted this certification much earlier, but I couldn’t, because a business needs to be in operation for at least 12 months before it can be assessed. Oz Fair Trade was incorporated in October 2013, so I had to wait. Now the wait is over, and I’m very happy for the recognition. To any ethical business in Australia, becoming a Fair Trader of Australia is a big deal. It is the official certification in Australia that recognises businesses that have fair trade at the heart of what they do. It gives customers confidence that they are buying from an ethical business that adhere to fair trade principles. Thank you to all who supported Oz Fair trade! I first came across Rotary at a BBQ in front of my local hardware store. It’s just another charity, as far as I was concerned. The guy behind an apron looked like Santa, and I was happy to have sausages and a cold drink as a cheap lunch. After a few cheap lunches, I started to take notice of their unusual name. What is “Rotary”? I didn’t really act on my curiosity until recently. My life took a turn, and I suddenly found myself desperate for new things to do, new people to meet, and new experiences to try. It was at this moment that “Rotary” popped into my mind. Rotary Australia belongs to Rotary International, which is a non-political and non-religious organisation that has about 35,000 clubs and 1.2 million members worldwide. The members of Rotary Clubs are known as Rotarians. 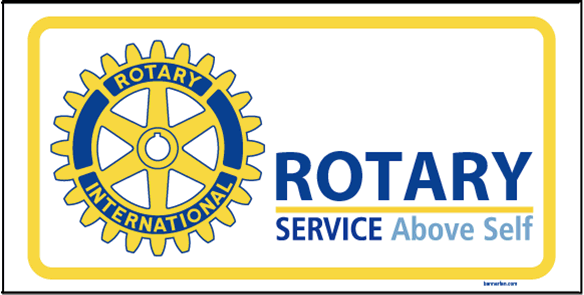 Rotary’s primary motto is “Service Above Self”. Members usually meet weekly to socialise and to organise work on their service goals. So why am I interested? I have always wanted to join a community of people who are selfless and who want to make the world a better place. So I set up Canberra Sustainable and Fair Living Meetup. So I network with social entrepreneurs. So I joined Kiva. But I always felt like I wasn’t contributing enough to local communities, and I wasn’t having enough interactions with experienced leaders in the charity/NFP sector. I am eager to learn and engage, but I struggled to find “my people”. I am an introvert, which makes it even more difficult. Friends have taken me to church, but I haven’t found that calling inside me. Many charities have a religious belief, which makes me uncomfortable to join or volunteer for. But Rotary is different. It is non-religious and non-political. It is one of the most efficient charities in the world in terms of how little money is spent on administration. It has a good track record and it is a large family. I will be welcomed to attend any Rotary club meetings anywhere in the world. The thought of connecting with so many like-minded individuals made me smile. Which Rotary club am I joining? 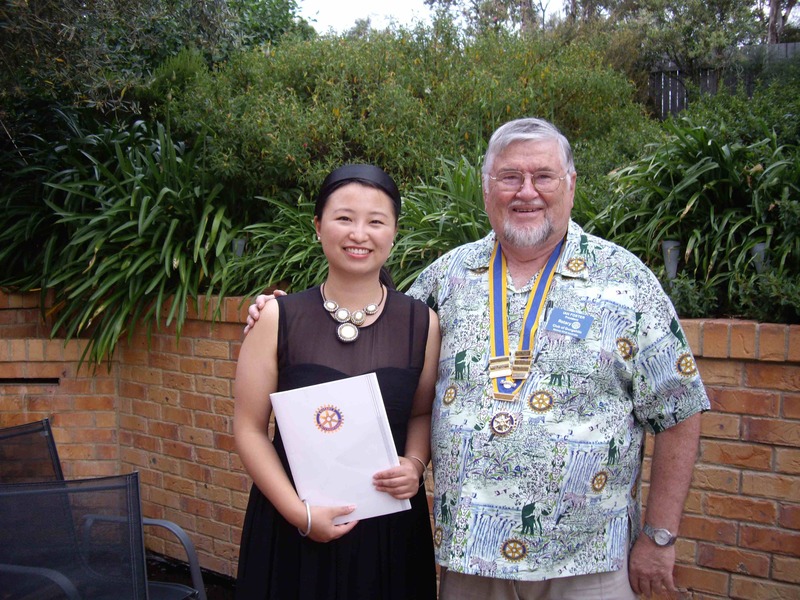 I am joining my local Gungahlin Rotary club. So far, I have been to two meetings and one Christmas party, and I have found Rotarians so friendly and welcoming. In the last meeting, we had a guest speaker, a fellow Rotarian who has served in the aid industry for over 20 years, and I thoroughly enjoyed her honest account of stories that she heard or experienced. I felt inspired. Gungahlin Rotary club raises most funds through BBQ, and supports a number of local projects like the Rotary Youth Leadership Awards and the National Youth Science Forum. It also supports international projects like Rotary Oceania Medical Aid for Children, Shelter Box and End Polio Now. As a Rotarian, I will be given exceptional opportunities to do wonderful things for not just the local communities but also international communities, on top of my work as director of Oz Fair Trade. You all know how passionate I am about fair trade, and how I prefer trade to aid. I believe that aid can be useful in emergency and special circumstances, and if done right, it can be very beneficial. There is a lot I want to learn in this field, and joining the Rotary club opens a big new door for me. I am excited! I first came across Amnesty Australia at a meetup film gathering organised by an area coordinator from Amnesty. After a few films, I was really impressed with the quality of the documentaries, and found myself wanting to learn more about human rights and how I could contribute. I grew up in China, a country known for its human rights issues. I remember how visiting Tibet really changed my mind about whether Tibet should be independent. I remember learning about the Tiananmen Square Incident in Australia because it was never taught to me in China. It is hard to overcome years of prejudice as a result of teaching that was forced upon me. Sometimes I still find myself not wanting to believe certain things. 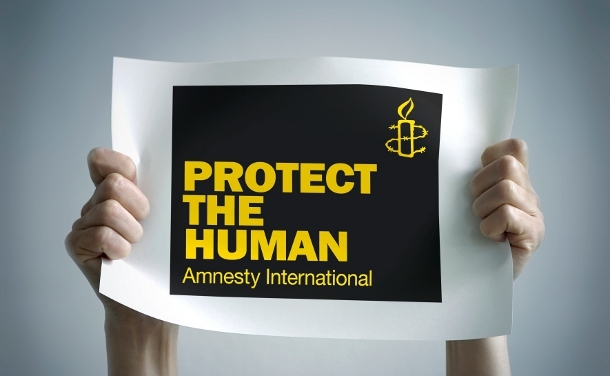 Amnesty International is a non-political and non-religious human rights organisation. It helps to raise awareness of human rights issues, organises petitions, sends experts to help victims, monitors media etc. It has a record of achievements since the 1960s. We are lucky that we live in Australia, because Australia has pretty good human rights record. But we can do better. We can treat refugees with more compassion. We can stop violence against women. We can reduce the gap between indigenous and non-indigenous Australians. We can also protest against overseas human rights issues. Our very own Peter Greste is still behind bars in Egypt and we should be angry about that. I encourage you to read the Universal Declaration of Human Rights. To me, it’s like bible. When I think about it, I have been a human rights activist for two years now, because I founded Oz Fair Trade to help people who are living in extreme poverty to live a dignified life through fair trade. To me, dignity is the most important part of human rights. The world trade system is far from perfect, and many people are forced to work long hours for little pay. That’s not right. Fair trade aims to change that. You can learn more about fair trade here. You can click here to join Amnesty Australia online and/or sign one of their petitions. Remember, every voice counts.